Interesting article today in the UK Daily Mail about UK Boyband member- Duncan James- and his horrific experience on Seroxat (GSK’s notorious suicide inducing anti-depressant). Many thousands upon thousands of people have had horrific experiences both on, and coming off, Seroxat. Many of us have had these embarrassing experiences on the drug, however many more people killed themselves from Seroxat side effects. It’s amazing how GSK’s current CEO- Emma Walmsley- can sleep at night considering the damage GSK has caused people for decades now. All those dead bodies from defective drugs don’t seem to bother the executives of pharmaceutical companies at all. They’re currently on a book tour for their autobiography All Rise. And it seems that boy band Blue are making sure there are absolutely zero skeletons left in their closet as even more truths have come spilling out of the mouths of Antony Costa, Simon Webbe, Lee Ryan and Duncan James. Speaking to Now! magazine, the quartet have opened up about their past with drugs – with Duncan, 39, explaining how easing off anti-depressants caused him to lose control of his bowels live on the National Lottery once. ‘I will never take anti-depressants again,’ the hunky singer declared. ‘I was coming off an anti-depressant called Seroxat, which is so hard. You get anxiety and panic attacks – so horrible. Duncan Talking about Seroxat in 2016 also..
.. if SSRI’s like Paroxetine are so effective then why do people keep killing themselves on these drugs? 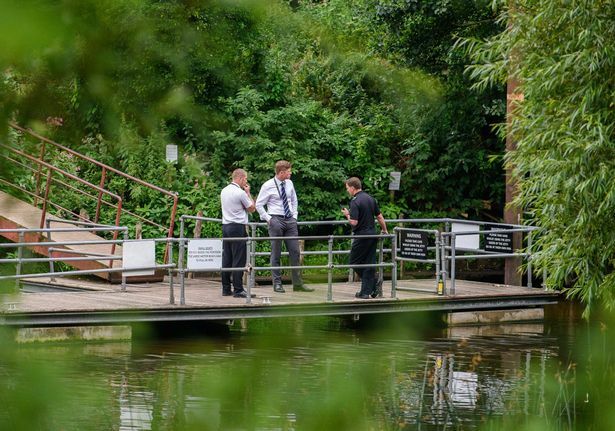 A 51-year-old Bath man whose body was found in the River Avon in Bathampton died by drowning, a coroner has found. 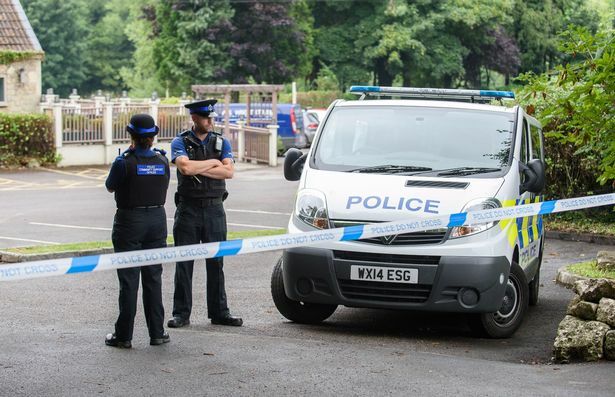 Mark Richard Hagan, of London Road West, was pulled from the river near the Bathampton Mill pub on the morning of July 19. An inquest into his death heard his body was discovered in the river shallows by a dog walker at about 7.30am. A large man with a shaven head, Mr Hagan had been reported missing by his mother earlier that day. His body was later identified by Isobel Rathbone, the vicar of the Church of St John The Baptist in Batheaston, who had known him and his mother for about two years. The inquest at Avon Coroner’s Court heard that Mr Hagan was a single carer who lived with his mother. He was socially isolated, had learning disabilities, dyslexia and was taking medication for anxiety and depression. He was also overweight, had high blood pressure, sleep apnoea, swollen legs and was prone to leg ulcers. Evidence from witnesses read out in court described how Mr Hagan’s mental health had deteriorated after the deaths of his father and sister at the end of 2016 and the recent diagnosis of his mother with cancer. 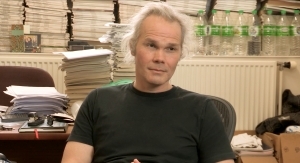 According to his brother, James Hagan, Mark had lived with his sister and parents as a “close unit” for nearly 30 years and the death of their father, in particular, had had a “major impact on Mark”. James said Mark had become “fixated” on the condition of his legs and had said “life wouldn’t be worth living” if he lost his leg. He had also told his mother he wished “God would take him”, according to James. A post mortem found pathology “consistent with drowning”. Mark’s blood contained high levels of the antidepressant drug paroxetine but the concentration was not so high as to cause “serious toxicity”. The dose of the drug had been raised to 40mg after he began “obsessing about his legs” and became anxious about his future after his mother was diagnosed with throat cancer. His former GP, Dr Charles Berrisford at Number 18 Surgery, said the last time he saw Mr Hagan on July 12 his patient was anxious but showed no signs of depression and he had “no cause for concern”. 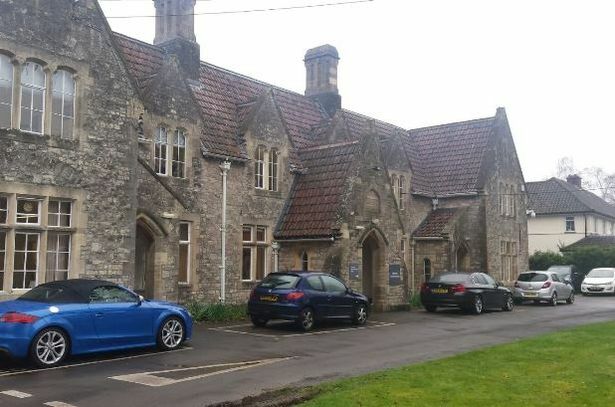 His new GP, Dr Jim Hogg at Batheaston Medical Centre, made a similar observation upon meeting Mr Hagan for the first time when he visited the surgery on July 14. No note was left by the deceased. Reading her finding of death by drowning, assistant coroner Myfanwy Buckeridge noted the GPs’ remarks and the observation from James Hagan that his brother “struggled to make decisions by himself”. She also noted there was no evidence of how Mr Hagan came to be in the river. “I cannot rule out that the death was the result of a tragic accident,” Ms Buckeridge said. No witnesses or friends or family of the deceased attended the inquest. If you have been affected by this article, or are concerned about someone or need help yourself, please contact the Samaritans on 116 123. Is GlaxoSmithKline The Harvey Weinstein Of The Pharmaceutical Industry?.. The Hollywood producer- Harvey Weinstein– has been getting away with abusing and harming women for 30 years or more. He got away with it because he is wealthy, powerful and could pay people to shut up. He could also use his power- and his immense influence and political sway- to keep people quiet. People feared him. He is nasty. People often don’t speak up because of the fear they have of powerful people like Weinstein; and the repercussions to them, their career or their families if they did speak out. Weinsten is a bully, a predator, and seemingly displays no remorse for all the harm that he has caused for decades. Weinsteins victims felt like it was their fault when he violated or bullied them. Some of them feel stupid for trusting him at all, but Weinstein is an abuser, with no regard for his victims. Weinstein cares only for Weinstein and for what Weinstein wants and desires. Weinstein violated people, and violated their bodies because he could, and nobody would dare to stand up to him. Weinstein is a repeat offender, his behavior is pathological. I have documented GSK’s decades of unethical behavior here on this blog in over 1000 blog posts. Four years before GSK were fined 3 Billion by the department of Justice for harming patients with dodgy drugs, and for their fraudulent behavior, I had already started blogging about GSK harming patients and consumers with Paxil/Seroxat and other drugs and compounds such as their Myodil dye. GSK’s unethical behavior goes back long before 2008 though. Long before I started writing about them they had already been behaving unethically, illegally and immorally. Their corruption is systemic, and they are currently under investigation by the UK’s serious fraud office. Even after they were fined 3 Billion in the US, they continued to try to bribe their way around their Chinese business in the far east. They were then fined 500 million dollars in 2014, in their deplorable China Bribe scandal. Wherever GSK goes- abuse of patients, consumers, and laws follows. They are completely disreputable and have no regard for anything but profit. Furthermore, amazingly- none of the top executives have ever faced repercussions, or jail-time for any of the crimes that GSK commited under their watch. GSK are immensely powerful, people fear them, people fear speaking out against them, and they have huge power and influence over many facets of the industry in which they dominate. They can bully and intimidate doctors (see the Dr Buse Avandia scandal from 2007), and they can even threaten and bully entire nations (they utter veiled threats such as: to move their factories from the UK anytime a little heat comes on them there- for example). They are predatory in the way they exploit governments, patients, the media and those on their payroll- (see Greg Thorpe’s Department of Justice complaint about GSK’s nefarious activities and see how nasty they can get). GSK violates patients with dodgy meds like Cervarix, Pandemrix, Seroxat, Avandia, Tafenoquine… the list goes on and on. GSK get away with this abuse because they can. They break the law because they think they are above it and nobody holds them to account. They abuse consumers of their meds because they know they can get away with it or that they can shut people up through fear, coercion or through litigation gag orders. GSK is a repeat offender, their behavior is pathological. In my eyes, GSK are the Harvey Weinsten of the pharmaceutical industry. Public records reveal Las Vegas shooter Stephen Paddock was prescribed the anti-anxiety drug Valium. He may have also been taking an antidepressant. Valium, which is the trade name for Diazepam, is an anti-anxiety medication that is one of a number of drugs classified as a benzodiazepine, nicknamed “Benzo.” Others include Xanax, Klonopin and Ativan. These drugs are linked to violent behavior in some patients. Psychiatrist Peter Breggin, author of Medication Madness: The Role of Psychiatric Drugs in Cases of Violence, Suicide and Crime is one of a growing number of health professionals who say these drugs can, in some people, cause such severe personality changes that they can trigger the rage and even insanity. 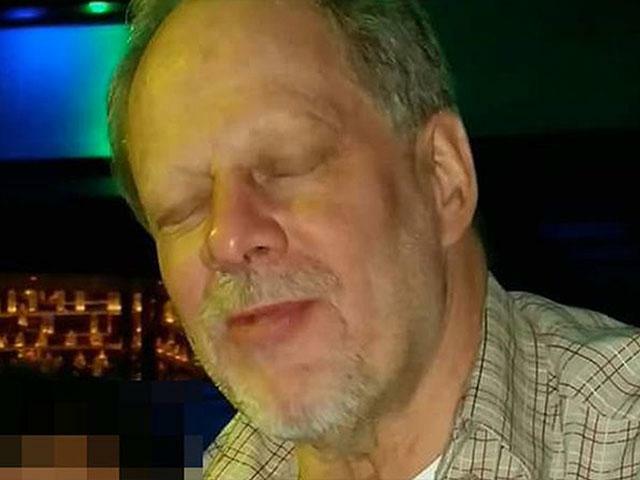 Breggin said he recieved an unconfirmed reports that Paddock “was prescribed antidepressants, which are commonly given along with Benzos.” If true, that likely exacerbated the situation, according to Breggin. However that link might never be known because while physicians must report benzodiazepine presecriptions to the Prescription Monitoring Program, they are not required to do so when prescribing antidepressants, Breggin said. Earlier, Breggin told CBN News he believes psychiatric drugs play a larger role in mass killings than most in the medical community are willing to admit. Like Breggin, pharmacist Suzy Cohen thinks the link between Paddock’s Valium prescription and the mass killing is more significant than many within the medical community are willing to admit. “He was either on a benzo or had just gotten off one,” Cohen told CBN, referring to the danger of not only taking these drugs, but also of stopping their use too fast. 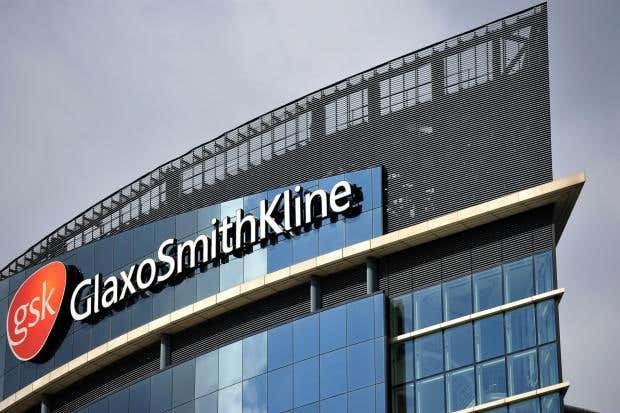 Pharmaceuticals giant GlaxoSmithKline (GSK) has been ranked bottom in a list of the UK’s top companies for good governance. The owner of well-known consumer brands, such as Aquafresh, Horlicks and Sensodyne, came in at number 103 in the Institute of Director’s 2017 good governance report. The IoD explained that GSK’s low ranking was down to its score in the audit and risk/external accountability category of the report, which had a strong weighting in this year’s overall ranking and was GSK’s worst score across the categories. Rankings are based on 47 factors relating to how companies are run, including board diversity, directors’ pay, how long businesses have been with an auditor and whether they have a whistleblowing policy. The list included 103 of the largest companies. The next lowest ranking businesses on the list were cruise company Carnival at 102 and security services firm G4S at 101. Drinks maker Diageo, which owns Guinness, Smirnoff and Johnnie Walker, was the UK’s top company for good governance. Diageo was followed in the rankings by insurer Aviva in second place and engineering firm GKN in third. Also in the top 10 were Barclays, Smiths Group, Prudential, RSA Insurance Group, International Consolidated Airlines, InterContinential Hotels Group and Compass Group. Across the 100 companies studied, IT firms underperformed compared to the average score, while energy businesses outperformed. The size of the company seems to have no effect on the position of the 100 companies studied. The IoD said its intention in producing the report is to encourage companies to consider a broad range of factors when doing a health check of how well their board and executive are functioning. The report combines publically available data with over 2,000 rankings of the companies from people with knowledge of what good governance looks like, including members of the IoD and the CQI. The number of measures the report examines was expanded for 2017 to give a more detailed view of how well a company works for shareholders, employees and customers. 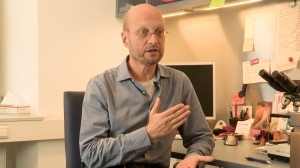 Fascinating Interview With Dr Peter Breggin..
Dr Peter Breggin sets the bar for how all psychiatrists and mental health workers should behave – he is humane, compassionate, intelligent, witty and his work has saved lives. What an inspirational human being- Thank you Peter for all you have done.. Despite The Headlines.. Peter Humprey’s Legal Case Against GSK Is Not Over Yet.. If you happened to read this headline (above) by Reuters recently, you could be forgiven for thinking that Peter Humprey’s case against GlaxoSmithKline was finished at the first hurdle- however this is far from the case. Peter -and Yu’s- legal cases are ongoing, and a number of points should be made about them- for the record. There is a major inconsistency between the fact that the SEC and the DOJ can punish companies for bribery offences committed abroad under the FCPA, and the fact that this judge feels that a company can no longer be held to account under the RICO law in a US court for issuing criminal orders from its US and UK headquarters to its gang members in China to commit the offences against Humphrey and Yu that led to their imprisonment, orders which constitute racketeering and organised crime. This first round ruling in Philadelphia only concerns the applicability of the jurisdiction of this particular court on these particular charges outlined in Humphrey & Yu’s writ. It should be pointed out that the order does not say that their allegations are untrue. It is also worthy to note that GSK has not denied the allegations of Humphrey and Yu. That is because it cannot refute the charges – it knows that they are true and can be proven. For that reason, it is trying to block a trial in open court and trying to force Humphrey and Yu to sue or arbitrate in China – knowing that legal action in China is impossible because Humphrey and Yu are banished (thanks to GSK) from that country and cannot pursue a case there, and knowing that Humphrey (thanks to GSK) is frail, having been denied medical treatment in captivity, which led to his cancer. And knowing that China would not allow such a court case anyway because it is too political for China’s communist dictators. As Peter has said in interviews, and as it well known anyhow- there is no rule of law in China. How cynical and callous can GSK get? They have ruined the lives of Peter and Yu. This does not surprise me however, as I have documented thousands of lives ruined by GSK’s behavior over the past decade. This blog shows a history of GSK’s unethical practice, and it serves a purpose: to highlight the human collateral damage from GSK’s indiscriminate human rights abuses, and their flagrantly unethical and immoral actions in the pursuit of profits before human life. People’s lives have been destroyed, some people have even been killed because of GSK’s greed. Their behavior has harmed many. Humphrey and Yu can and should appeal against this erroneous court ruling. Humphrey and Yu also clearly have options to use other venues for litigation and to pursue other charges in addition to those cited in their writ. They also have the option – not yet pursued -of suing individuals and not just the company. Furthermore, there is also a much larger court than a court of law. That is the court of public opinion and reputation. In that greater court, we all know how GSK will be judged and condemned for its callous criminal behaviour. GSK have had decades of negative headlines, do they need more? Humphrey and Yu obviously have masses of evidence that has not yet been presented to the public. We can only look forward to that coming out, while GSK must be nervous by that prospect and will not wish that evidence to be aired in any court at all. Who knows, they might even prefer to negotiate. Either way, it seems that these cases are far from over. I wish Peter and Yu well in their fight against GSK (a deplorable company with absolutely no shred of human decency). See Greg Thorpe’s Department of Justice legal complaint against GSK from 2012 and read for yourself just how low GSK’s unethical behavior goes..
“No Smoke Without Fire” : GSK’s Controversial HPV Vaccine -Cervarix- Examined In New Documentary ‘Sacrificial Virgins’ . October 05, 2017, London, UK. Press Dispensary. The HPV vaccine – one of the world’s most popular vaccines – is also the world’s greatest source of serious adverse reactions, on a different scale to any other mass-administered vaccine, according to a new film launched today on YouTube. 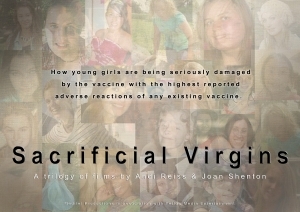 Pain and Suffering, part two of the three-part series Sacrificial Virgins, examines why the reported number of adverse reactions associated with the HPV vaccine is so great, offering a shocking analysis of what may have gone wrong. “It is a medical scandal,” asserts the film’s writer and narrator, Joan Shenton. “The Human Papilloma Virus vaccine – or HPV vaccine – is in a class of its own when it comes to causing pain and suffering, and in Sacrificial Virgins we are asking why. Part three, A penny for your pain, will be launched soon and will look at the litigation around the world, including a potential game-changing class action in Japan. 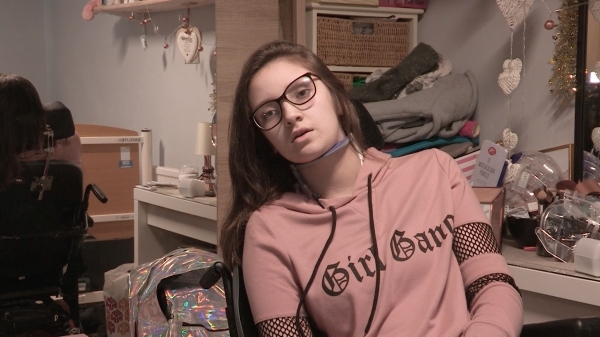 Woman In Ireland Sues Irish Medicines Regulator, GSK, And Minister For Health Over GSK’s Narcolepsy Causing Vaccine- Pandemrix..
An interesting case is brewing in Ireland over GSK’s Narcolepsy inducing vaccine- Pandemrix. It will be interesting to see how the case unfolds, and to what extent the Irish regulator (formerly- IMB- now the HPRA) and GSK, knew (or were aware), of the risks involved with Pandemrix. Pandemrix was over sold, over-prescribed and over-hyped. There was really no need for these mass vaccinations at the time, but GSK made a tidy profit from it, they hyped it to the max and used every ounce of their power to promote it- and the public were used as guinea pigs. This is typical GSK behavior, as can be seen from their Seroxat and Avandia debacles of past years, and perhaps also illustrated by their Tafenoquine human guinea pig experiments of the present. Pandemrix is yet another useless GSK poison that was rushed to market on dodgy ‘evidence’ of effectiveness. GSK are truly the Global Serial Killers. An action by a woman who claims she suffered narcolepsy after receiving the swine flu vaccine is among 70 cases initiated here over the vaccine. 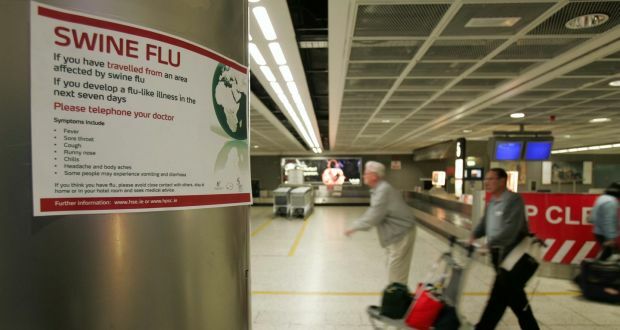 Aoife Bennett is among those suing the Minister for Health, the HSE and Glaxosmithkline (GSK) Biologicals S.A in the High Court over being given the Pandemrix vaccine against “human swine flu” in the period 2009-2010. Her case was before the Master of the High Court on Thursday when he granted a preliminuiary application to join the Health Products Regulatory Authority (HPRA), formerly the Irish Medicines Board (IMB), as a defendant. Ms Bennett, from Naas, Co Kildare, claims she suffered injuries including narcolepsey and cataplexy disorder, fainting fits, as a result of being given Pandemrix in 2009. The application to join the HPRA came after her lawyers discovered information about the vaccine’s safety records furnished by GSK in 2009-10 to the then IMB. The IMB, which became the HPRA in 2014, is a State body whose role is to protect and enhance public health by regulating medical products. It is alleged the safety reports show a “particularly striking” difference between the number of adverse effects in those given Pandemrix and a similar vaccine also made by GSK. Had parents been aware of the “vast difference” in the numbers of people who had adverse effects from the respective vaccines, they would not have given their consent to the administration of Pandemrix to their children, it is claimed. As a result of the documents, Ms Bennett claims the HPRA owes a duty of care to persons given Pandemrix, including relating to how the safety and appropriateness of the vaccine was monitored. She alleges that the manner in which the HPRA performed its functions breached those duties. William Binchy BL, instructed by solicitor Gillian O’Connor, for Ms Bennett secured permission from Master Edmund Honohan to add the HPRA as a defendant. 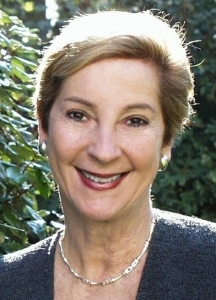 In a sworn statement seeking to have the authority joined, Ms O’Connor said the application followed examination of 4,500 documents discovered to the plaintiff by GSK. The HPRA was not represented at Thursday’s hearing but, in her sworn statement, Ms O’Connor said it has said in correspondence the board would not be admitting any culpability in the matter. Ms O’Connor said the discovery process had revealed the IMB had data concerning the safety records of Pandemrix which is made in Dresden, Germany and a very similar vaccine also used to treat swine flu made in Quebec, Canada, called Arepanrix. There are some differences in the manufacturing processes between Quebec and Dresden, Ms O’Connor said. The safety records show the level of adverse effects in those administered Pandemrix ranged between 10 and 7 times higher than the Canadian made product, she said. One report from late 2009 stated, of the tens of millions of vaccines administered, there was a serious adverse effect rate of 75.9 per million for Pandemrix compared to 7.9 per million for Arepanrix. The type of adverse effects listed in the reports range from conditions such as convulsions, facial palsy, to stillbirth and fatal outcomes in those who got the vaccines, she said. Ms O’Connor said the discovered material did not indicate the IMB made the information it had received available to the Minister or the HSE immediately after it was received, or at all. A representative of the IMB attended all meetings of the National Public Health Emergency Team, which was set up by the Department of Health to oversee the administration of pandemic vaccines, she said. While discovery is awaited on those meetings, no minutes were recorded regarding adverse effects of Pandemrix at meetings to monitor and oversee the swine flue virus, she said. A HSE brochure issued to the public in 2009 about swine flu contained information to the effect it was safe to use Pandemrix, it had been appropriately tested and side effects were rare. Mrs O’Connor said the reality, which she said was known to the Irish Medicines Board, was not all the conclusions contained in the brochure were warranted. Pandemrix was not adequately tested on children and young people before it was licensed, she said.